– Brian Reardon, Account Manager, Pro Source, Inc.
– Nadene Jusczak, Inventory Specialist, SRP Companies. “Motivation Now!is a great reminder to revisit your earlier hopes and dreams, build a plan, work the plan, and involve your family, friends, heroes, mentors, clients, coaches, and accountability partners in your journey to achieving success. Also to remember to say “Thank you” to God, your family, clients, and your team for holding you up so that you can achieve your goals. Set clear goals,rework the defining metrics of the goals and the steps needed to achieve them. Then, come New Year’s Eve – celebrate the success you have achieved. – Chris Kokkinos, Product Development Executive, Location Inc.
– Judy Isaacson, Executive Consultant, Vital Now! “I enjoyed reading the book, Motivation Now! There are a lot of coaches with books out there so I wasn’t sure what to expect. Lisa touched my heart. She is authentic and real and it comes through in every picture that she includes of her beautiful family. 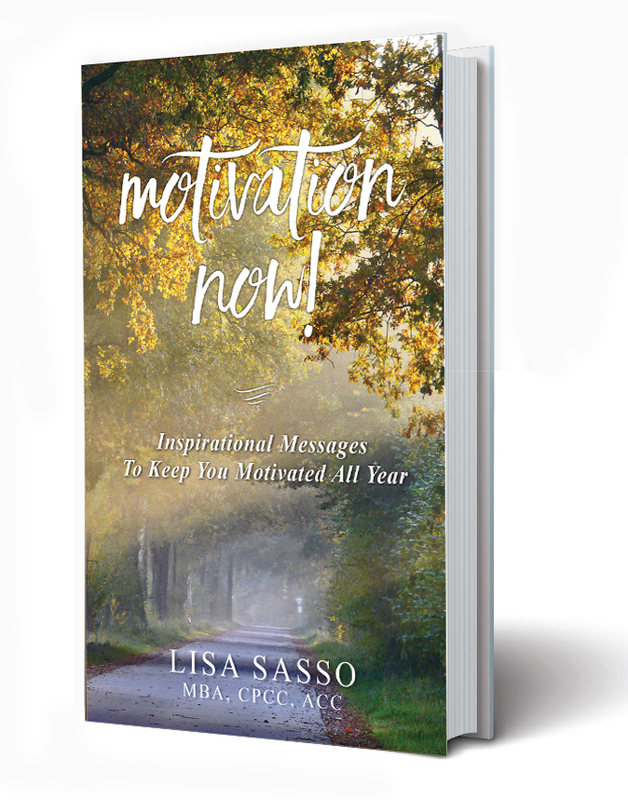 “Lisa has created a guide for us to organize our values, behavior, and passions, which can then allow us to organize our work, career, relationships and leisure leading to the life we truly desire. – Lisa M. Dell’Anno, Esq. – Syndie Lumb ACSM Certified Personal Trainer, AFAA Certified Group Exercise Instr.